Did you know Starbucks removed “Starbucks Coffee” from their logo? A risky move for a SMB, but as a large brand they chose to simply focus on their iconic green and white siren. Their decision was met with criticism, as fans believed that without “coffee” in their name, no one would know what product they offer. After viewing the video, do you agree with the opinions of the people in this video? Many small businesses lack a clear vision and tend to jump from task to task without a clear understanding of what bonds the individual actions together and/or the value created by the individual actions. This often leads to business owners losing sight of what they originally had in mind when their first opened their doors. What ever the vision you had when you first started your company, have you turned your vision into an actual “vision statement”? A vision statement is a short statement that is specific enough to say something about what you will do, and equally what you will not do. It should be capable of driving your company to achieve a common goal, and be somewhat motivational so that you have a constant reminder of what you are trying to achieve when the going gets tough. Your goals, actions and measurement criteria are driven by your vision. 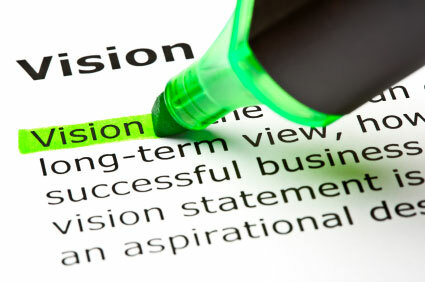 Your vision statement should be concise and give purpose to your business. It must be capable of motivating you and others in the business. It must become the cornerstone for your business, helping you to link your actions to your strategic goals. Your actions must be driven from a clear understanding of the value they will create. Involve your employees or management team in creating your vision statement. Make sure you share your vision statement e.g. create a poster to hang in the front lobby, on your website, mugs, etc. Employees need to understand it and believe in it as much as you do. Has your original vision for your company changed? Have you ever formalized your vision into a vision statement? If not, why not and if so, what have you found to be the most rewarding about committing your vision to paper? I look forward to hearing from you in the comments below. According to a survey released this summer by the American Express Small Business Monitor, the vast majority (93%) of small business owners (SBOs) cite having a unique brand that differentiates them from the competition is more important now than ever. “In today’s highly competitive business climate, creating a recognizable and trusted brand is an important concern for many small business owners (SBOs). Increasingly, SBOs recognize the importance branding has on business success, and as such, are focusing on providing an overall brand experience to their customers. It’s evident that business owners have seemingly prioritized branding strategies with 71 per cent saying brand experience is the most important part of their business’ overall brand. SBOs are also placing a high value on branding as the majority (51%) report branding is critical to attracting new business. With consumers increasingly embracing social media and leveraging social platforms when making purchase decisions, almost three quarters (73%) of SBOs report that they need to constantly monitor their brand’s perception. As such, SBOs have welcomed digital elements into their branding with over half (52%) of business owners utilizing a company website to build their brand. Yet many still rely heavily on traditional approaches stemming from internal communications. A full 60 per cent of business owners rely on the actions of their employees to communicate their brand to their customers and almost half (45%) of these report it being effective. 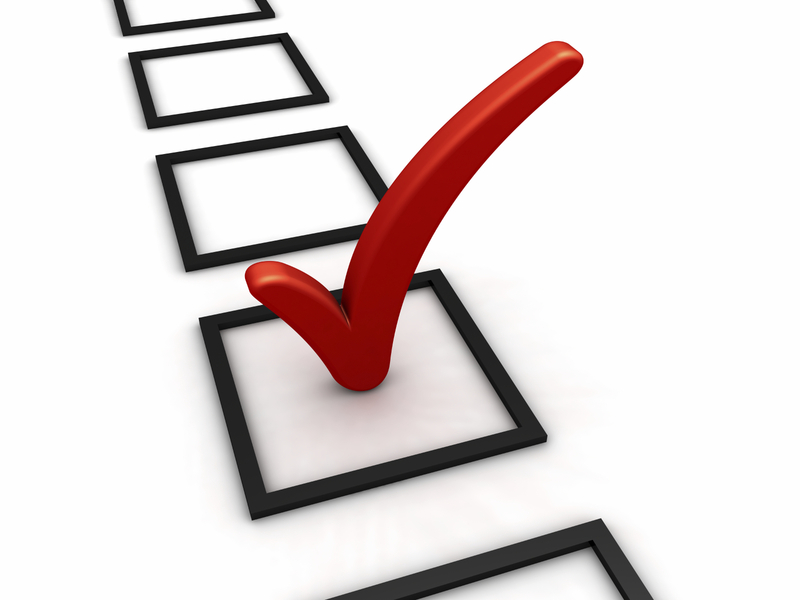 Furthermore, 32% of small business owners leverage events to help increase brand awareness. The demand for a strong, prominent business identity is at an all-time high with 84% of business owners stating that branding is important to the overall success of their business. While SBOs feel an increased need to stand out from the competition, 55 per cent aren’t refining their brand annually and may be missing the opportunity to assess the evolving trends to ensure their business stacks up in the market. Thirty-six percent of SBOs admit that they are interested in expanding their brand but don’t know where to start. Despite this, a substantial 86 per cent of SBOs still choose not to capitalize on the resources third party experts offer with over one quarter (29%) of SBOs rely on themselves in the development of their business’ brand. Do you agree with this survey? 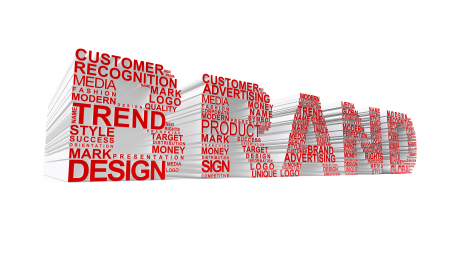 Is branding become more significant to your business? I look forward to reading your comments below. When branding your company, not only will you need to communicate how you are different from your competition, but what value(s) are placed on that difference. Although your logo is essentially the face of your brand, there is a lot more to your brand than your logo. Your brand is how the public is able to identify with you visually, but it needs to be supported by brand values. In other words, to make the sale, you’ll need to “convince” your consumer that your brand (product or service) is right for them – it needs to resonate with them. In marketing, we make connections with our consumers by determining your brand values and making sure they accurately reflect your brand. Put your best foot forward: Determine or develop a positioning strategy that makes your brand a leader in your category. Make the right colour choice: Establish colour as an icon that represents your brand exclusively. Think UPS. What they think matters: Talk to your stakeholders to be sure that their perception of your brand accurately reflects the reality of your brand. It is a good opportunity to validate your values as well. Sync your brand logo and culture: Your brand logo should reflect your values and also help to differentiate you. Branding is complex, but if you are able to build these four steps into a cohesive message, you will be well on your way to strengthening your brand and make it easier for you to sell your products or services. Do you feel if you have a brand that accurately reflects your brand culture? How important do you think it is to have a cohesive brand? Please share your experience in the comments below.